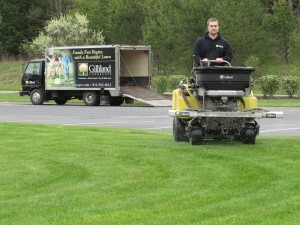 Gilliland Landscape offers lawn care services throughout Centre, Clearfield, Indiana, & Jefferson County. This includes areas like Curwensville, Clearfield, Dubois, Philipsburg, State College, & Altoona. 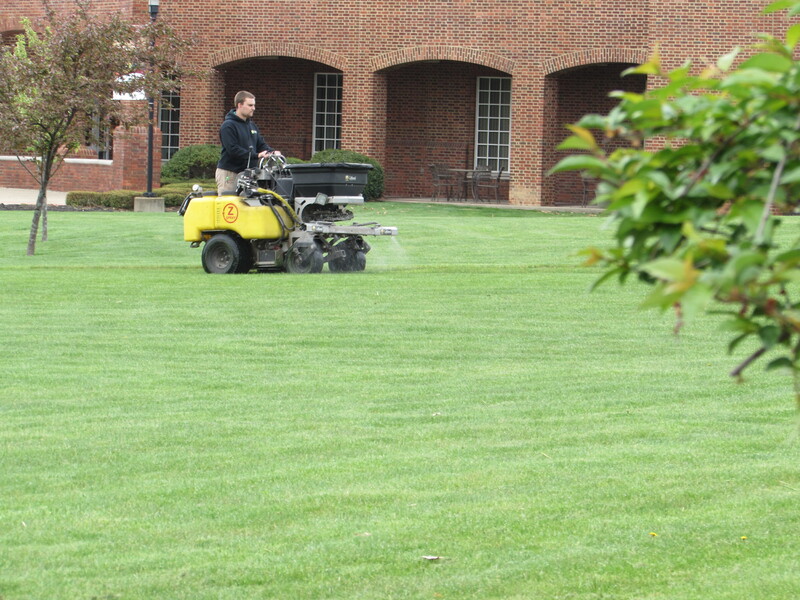 Let our Penn State Turfgrass team tackle your toughest lawn problems! 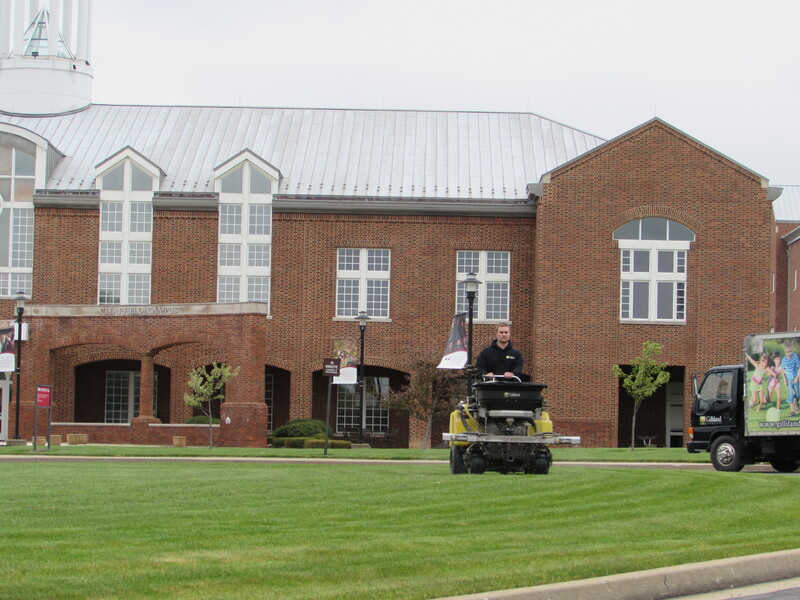 Detailed below are some of the various services we offer to keep your lawn and landscape looking great, and your family and pets protected! Orgainc Lawn Fertilization Programs – DONT PANIC – Although all our applications are safe for humans & pets, we also offer organic lawn care programs to suit your needs. Tree and Shrub Program – 5 Step Program to protect your valuble landscape from pests, diseases, and improve plant heath. If you would like to learn more about of lawn care programs, simply fill out our online quote request form or call us at (814) 592-4613 today. 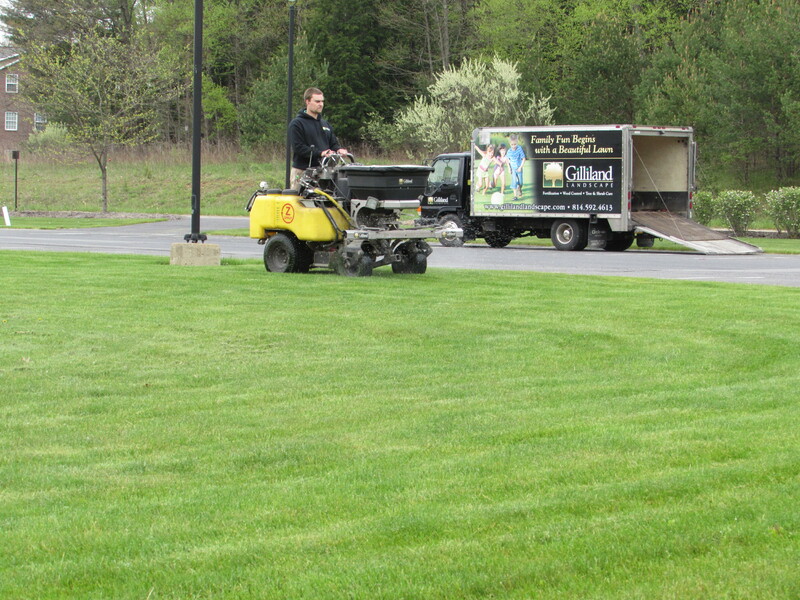 Lawn Aeration (Plugging) and Overseeding – This process helps eliminate compacted soils and break down thatch in your lawn. 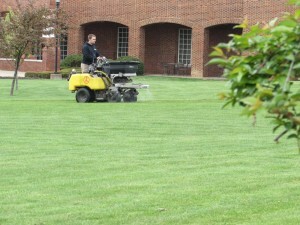 Following the Aeration process, the lawn can be overseeded to help fill in bare spots and thicken the turf density.